Ethanol – what is it? Ethanol is ethyl alcohol formed as a result of the zymolysis of any plant substance, whether starch-, sugar-, or fiber-based. Ethanol is alcohol similar to the ones in alcoholic beverages. Ethanol is an exceptional fuel for internal combustion engines (ICE’s) with spark ignition. Distillation of ethanol on a small scale can be made in your backyard, which is the basic idea of this article. Since the volumetric efficiency of alcohol is higher, it adds to increased power. Since oxygen content is more in alcohol, it helps in burning more cleanly. It also contributes towards the reduction of net carbon dioxide discharges on a complete life-cycle footing by 25-30%, according to the US EPA. The life of the engine is extended since alcohol burns slightly cooler. 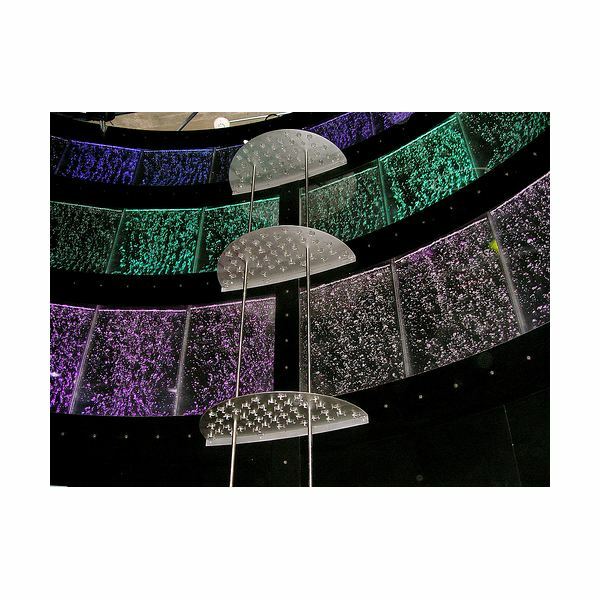 It also reduces emissions of Volatile Organic Compounds (VOCs) by 30% or more. As an octane enhancer, ethanol has the capacity to cut discharges of cancer-causing benzene and butadiene by over 50% and forestalls untimely explosion under load (preignition or "knocking"). Sulphur dioxide and Particulate Matter (PM) discharges are importantly reduced with ethanol. Since Ethanol is produced from plants, which process and store the sun’s energy, it is an inexhaustible fuel source. Areas in the world which do not have crude oil repositories can think about "fuel farming" as a lasting answer to counterbalance their energy requirements and reduce dependency on foreign oil. Ethanol equal to 190 proof that is 95% strength can be made by means of easy distillation in your back yard. The process involved in the production of ethanol from corn is very simple except for the removal of the final 5% water from an ethanol solution, which is a bit complex. The basic intention of this article is to provide some of the important information with regard to producing ethanol on a small scale. Ethanol can be made by the fermenting of plain sugars and starches. Before fermentation can start, the corn has to be crushed by a method formally called conversion, which actually calls for beating or grinding. This can be achieved with the help of a hammer or mallet. Now you need to place the crushed corn into the steam boiler and cover it with water. Next add alpha amylase and glucoamylase enzymes. Allow the mixture to boil and let it sit for no less than two hours. The next step involves the process of fermentation. You will have to add yeast, which is the microorganism and is accountable for fermentation, as well as water. When the temperature of the crush is around 70 degrees, you can add the yeast. If feasible, fasten the boiler with a rigid cap containing a hole through which a pipe can be run to a container of water. This will help in the escaping of carbon bubbles but will at the same time prevent air from flowing in. Let the mixture ferment from five to seven days. 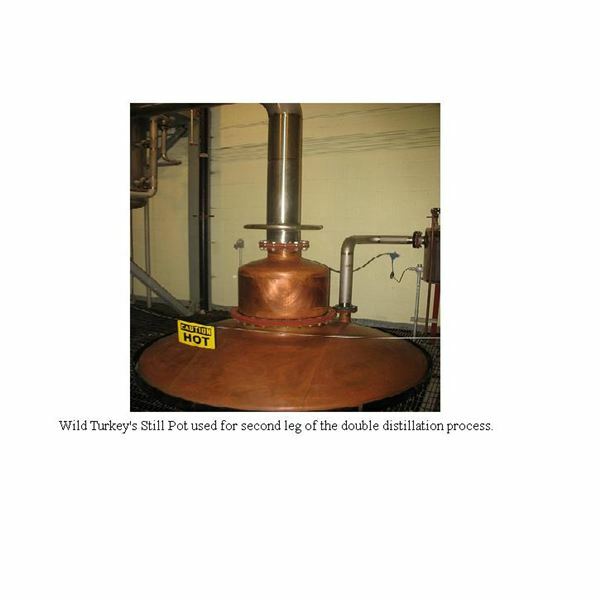 Distillation is a process through which the ethyl alcohol produced by fermentation has to be split from water. For this the liquid from the boiler has to be transferred to a simple still for heating and converting it into vapor. The alcohol vapor goes upward along a perpendicular coiled copper pipeline (or a large, double vertical pipe in larger stills) and distils at the higher end of the fractionating column. The water vapor, which evaporates at a high temperature, concentrates first, and then returns to the original chamber. Separate out the distillate and dry up further. Regardless of the distillation procedure, the compressed material still comprises a portion of non-ethanol pollutants and some water. In the finishing phases of ethanol production, these adulterants are separated by passing it through a tripped carbon filter. Finally it can be distilled again if required until it attains 90% purity. To be applied as automobile fuel, corn ethanol is blended with gasoline as on its own ethanol does not burn with adequate energy to power most existing car engines. Blended with gasoline, in inconsistent ratios, ethanol makes the complete fuel burn cleaner. Conventional car engines cannot apply a mix of over 15% ethanol, while fuel flex cars can use nearly 85% ethanol. Let us now look at the equipment required for the process of making ethyl alcohol. A pot still merely gathers and contracts the alcohol evaporations that come off the boiling mash. Alcohol thus formed is only around 40-60% purity, with loads of flavor in it. But if you distill this distillate again through the pot still, then its purity increases to about 70-85% purity, and loses a little of its flavor. Whereas if you use a reflux still, then all the multiple distillations are carried out in one single go. This is possible only because of its packing in a column sandwiched between the condenser and the pot. The packing allows some of the vapor to distill and drip back through the packing. This "ebb" of liquid aids in cleaning the emerging vapors and increments the purity percentage. The purity of the product depends on the packed column. The taller the packed column, the more reflux liquid, and the purer will be the product. The purest form of reflux still is a fractionating column. It will compress all the steam at the apex of the packing, and bring back approximately 9/10 back down into the column. The column has to be quite tall, which can be around 2-4 foot, and compacted with a substance having high surface area but needing only a small space. The best suited substance for packing is pot scrubbers. This gives alcohol 95%+ pure with no other impurities in it. You can also build your own still. 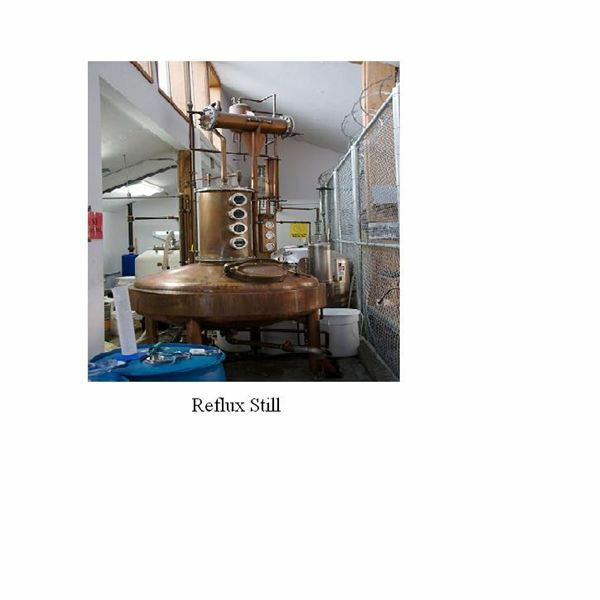 For information on how to build your own still and the basic resources needed along with a step by step guide please visit Building a Home Distillation Apparatus. The cost runs into approximately $1.10 to $1.20/gal to make alcohol from feed-stocks like corn. At the same time you will be able to sell or use as animal feed the by-products thereby cutting down the total cost further to around $.95/gal. Farmers are at an advantage because their surplus crops, or even damaged crops that are waste, can be utilized for ethanol production. Usage of corn as ethanol raw material will help a wide economic base comprising thousands of families farming corn and rural businesses. The price of corn can be stabilized or even increased with higher demand for these grains. This would accordingly promote an extension of the hybrid fields in the major corn locations. A small fuel producer permit for home brewers has to be obtained from the US Alcohol and Tobacco Tax and Trade Bureau (TTB) in the US. Actually in the US owning equipment for distillation is not illegal, but using it without a license is illegal. Permit for small producer is the simplest to get, which permits to make equal to 10,000 gallons per year. You need not pay anything to obtain this permit and all you have to do is to simply fill out a form and mail it to the address specified. You will get your permit within 30 days. Apart from the Federal license, your state and local governments may also entail licenses. These changes from state-to-state and you have to check it with your local government. Having said everything now I would like to point out some problems with ethanol just as a word of caution. "Ethanol is not Net Energy Positive" is the popular argument. On the other hand, several of the latest studies demonstrate that ethanol has a positive energy balance. Thus while considering the growth of ethanol, along with its by products, it has been found that ethanol contains more energy than is utilized to produce it. The energy return currently varies from 1.24:1 to 2.09:1 depending on the system of production growing and producing ethanol. Ethanol inevitably absorbs a certain quantity of heat to efficaciously vaporize for use in an engine. As soon as the engine reaches the functional temperature, this vaporization takes place as needed. On the other hand, there are operational effects with cold weather, thus gasoline engines furnished to use ethanol would demand extra changes to be cold weather dependable. An in-line fuel radiator or other pre-heat schemes can be included.